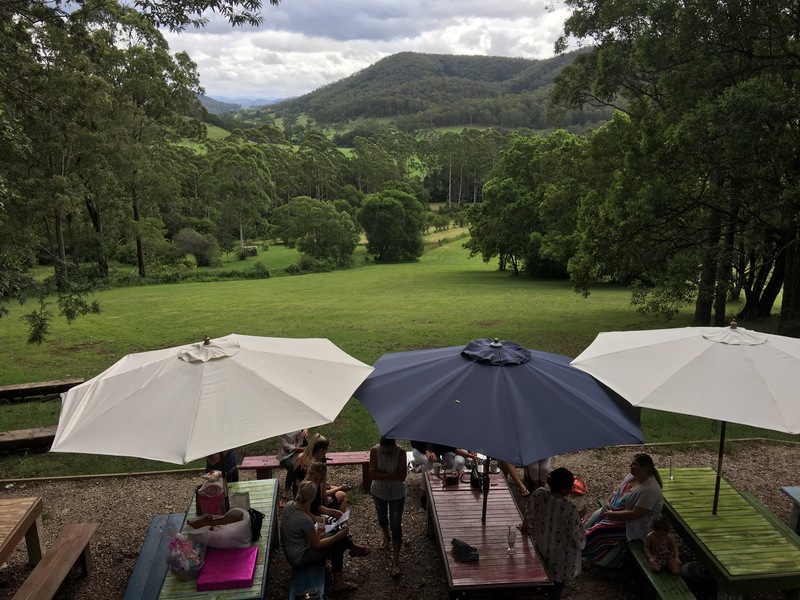 Straight out of a coming-of-age story, the Byabarra Café Bakehouse Bar is set in rolling green hills at the foot of the Comboyne Plateau, around a forty minute drive west of Port Macquarie. Byabarra itself is a dot on the map, nothing more than a clutch of houses, an historic church and acres of prime dairy land. Byabarra Café Bakehouse Bar is all that its name suggests as well as a b&b. The b&b is available seven days a week but the bakehouse and café/bar is only open from Friday through Sunday. After all, what’s the point of living in paradise if you don’t get to play in it? Current owners Brad and Tara Wallis have recently taken over from when it was Blue Poles Gallery and set about putting their distinctive touch on it. From the road it simply looks like a tiny bakery with a room to the side. Walk inside and a huge indoor space is revealed. The décor is modern rustic with, thankfully, not a windchime or pot pourri in sight. There’s a large wraparound verandah and the garden looks made to while away the afternoon. The view takes in gently rolling countryside of the Thone River Valley, and makes you realise Australia doesn’t always have to be about wide dusty plains or beaches. 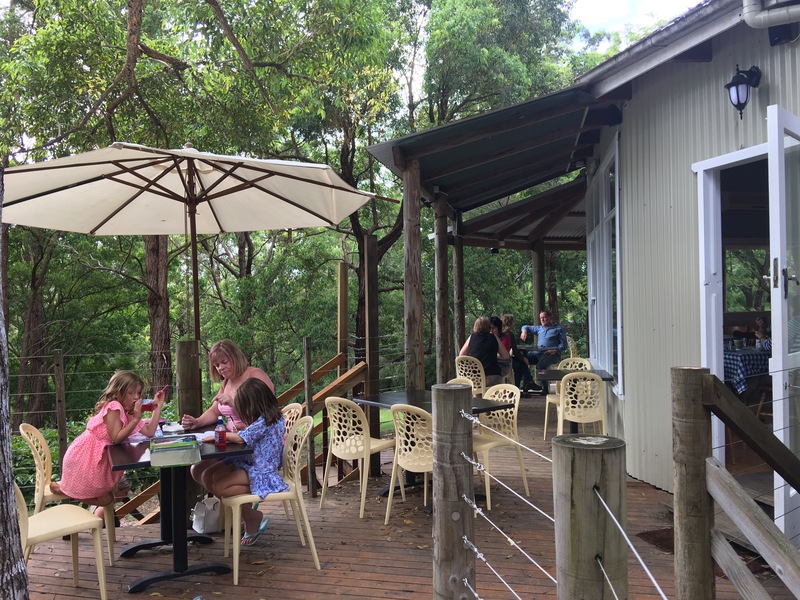 Below the verandah is a row of gelato-coloured picnic tables, with covered awnings, perfect for families. There’s also a tee pee and cubby house in the grounds to keep the kids engaged. If you want to stay the night, the cabin has a treehouse vibe with hammock and throw cushions. I first came across Byabarra Bakery at a market in Port Macquarie. In front of their stall was an eye-catching blackboard, which listed the ingredients of their bread: flour, water, salt and fire. Of course, I had to try it. I loved the real sourdough taste, the chewy crust and the loaf’s imperfect but rustic look – in short, real bread. Their café menu features their famous sourdough. There’s also woodfired pizza, fish, pasta and steak, as well as a number of specials. 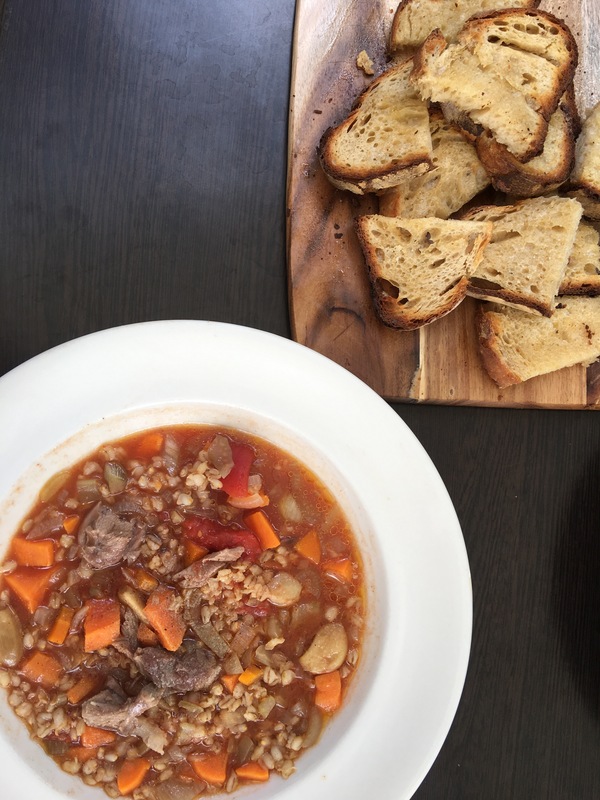 We choose one of the specials: lamb, fennel and barley soup with sourdough. It is just what it said on the box – hearty, robust, peppered with whole cloves of garlic and knobs of lamb and – hurray -no skimping on the garlicky toast for soup dunking. It’s country cooking but with a cheffy edge. Afterwards we tried to buy a loaf to take home but they had run out – a good excuse to return. Yum, that just made me hungry! Sounds like a gorgeous spot. It was – you’ll have to experience it for yourself!